Chess masters Viswanathan Anand and Boris Gelfand will get an artistic surrounding for their duel as one of Moscow finest art museums, the Tretyakov Gallery was chosen to host their world championship mind clash. 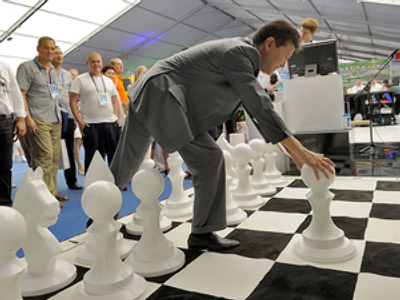 ­The Gallery’s Director, Irina Lebedeva, and Chairman of the Supervisory Council of the Russian Chess Federation, Arkady Dvorkovich, have signed all the required documents on Monday. The International Chess Federation (FIDE) President, Kirsan Ilyumzhinov, and businessman Andrey Filatov, who’ll sponsor the event, were also present at the signing. 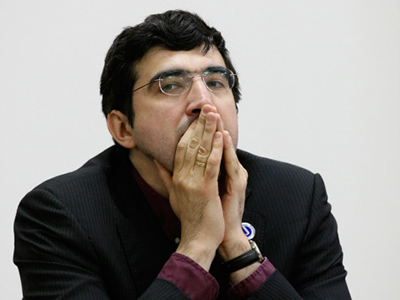 Vishy Anand of India, who’s been World Champion since 2007, will defend his crown against Israel’s Boris Gelfand on May 10 – 31. 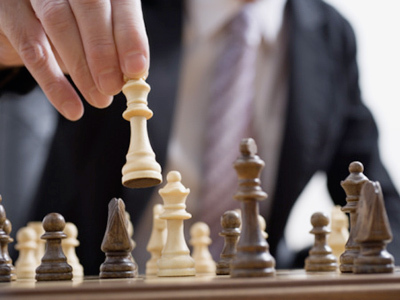 The chess masters will play until one of them earns 6.5 points. 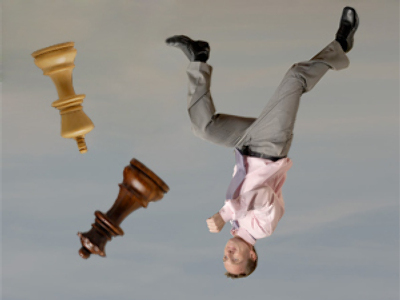 A tie-break is provided if Anand and Gelfand are level after 12 games. The prize fund of the match will be over $2.5 million, with the winner getting 60 per cent of the sum. 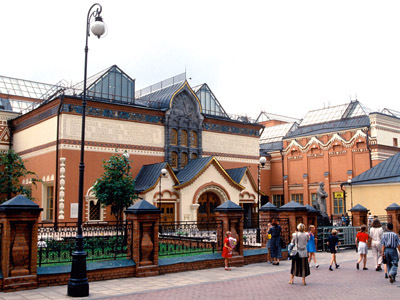 The State Tretyakov Gallery can boast to be the foremost depository of Russian fine art in the world. The collection contains more than 130,000 exhibits, ranging from Theotokos of Vladimir and Andrey Rublev's Trinity to the monumental Composition VII by Wassily Kandinsky and the Black Square by Kazimir Malevich.